Don’t Forget About Test Prep Over Winter Break! Nothing says winter like a steaming cup of hot cocoa, a cozy fire, and a nice test prep book, right? 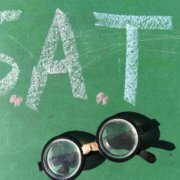 If winter test prep isn’t your idea of a fun holiday break, you’re not alone, but winter break offers a great chance to get a jump start on your SAT or ACT prep. Particularly for juniors planning to take the SAT or ACT in the spring or summer, winter break is probably the longest period of time to focus on test prep without the demands of a full school schedule. Make sure you figure out which topics you need the most work on before you start. Take a diagnostic practice test to figure out where your strongest and weakest areas are. 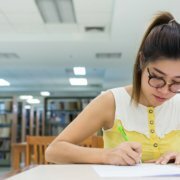 There are a lot of resources for diagnostic SAT and ACT tests: test prep workbooks usually have full-length practice tests with grading guides; both College Board and ACT publish old versions of the test online; and you can contact your local C2 center to schedule a full-length diagnostic SAT or ACT. At the very least, use winter break to establish a long-term test prep plan that will take you through spring semester. 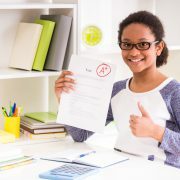 Be realistic – you know what your academic and extracurricular commitments are, and there’s no sense creating a test prep plan that you can’t stick to. Take your strengths and weaknesses into consideration. Plan to dedicate the most time to the areas where you need the most improvement, but don’t overlook your strengths. If you ignore the areas you already do well in, you risk forgetting key information, so any score increases in weak areas could be balanced out by declines in strong areas. The weeks that you have over winter break give you the perfect chance for some intensive winter test prep. Without a full day of school and hours of after-school activities, you can easily dedicate an hour or so each day to some winter break test prep. You can cover a lot of ground in an hour, and with about two weeks of low-stress days ahead of you, that’s a lot of hours! By going into depth on key topics, concepts, and question types over winter break, you lay a good foundation for your remaining test prep. Once schools starts up again, you’ll be able to spend your allotted test prep time reviewing concepts instead of learning new concepts.